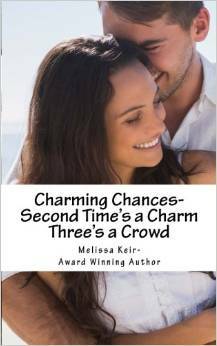 Three's a Crowd is Now on Sale with NEW UPDATED CONTENT!! When my cell phone rings. I look down. It’s Steve and I don’t want to answer. I’m on a date with my husband. The children are safe with Steve. I—we—deserve this time together. Pushing the off button, I ignore the call. Alex understands my dilemma. My ex has anger issues and isn’t happy that I’ve remarried. The phone rings again. I cut a small piece of beef burgundy from my plate and lift it gently to Alex’s lips. Feeding each other is a very sensual experience. My legs tingle. I watched his tongue dart out to catch a drop of sauce lingering on his mouth. I reach across the table to run my thumb over his lips then pull his face close to mine in search of a passionate kiss. “Which urgent care are you going to? I can meet you there.” My stomach clenches in anxiety. I obtain all the details while Alex pays the bill and has our food wrapped to go. We rush out into the night, our romantic evening ruined, fright replacing passion. Guilt begins to eat at me. Why didn’t I answer the phone sooner? How is Scotty handling things? What kind of parent am I to put myself over my child? Alex seems to understand what I am feeling and reaches over to hold my hand. Without saying a word, his touch makes me feel better. 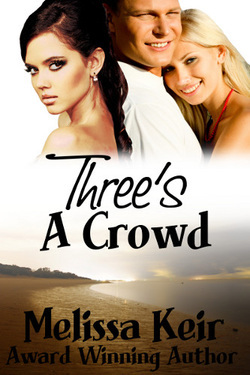 Three's a Crowd is now available in print with its prequel. Get your copy today!